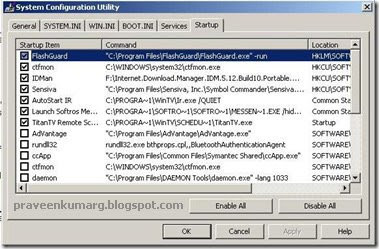 FlashGuard.exe or DriveMonitor.exe or DriveGuard.exe worm runs a process named with any of the .exe names.FlashGuard.exe also add itself to system startup, you can see through msconfig command.It also creates startup key in registry to run itself every time on system boot. 2. 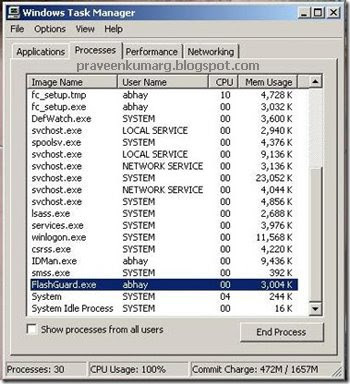 Search for the files tmp.exe, delete DriveGuard.tmp.exe or gHmpg.tmp.exe and locate and delete these files. 3. Go to Start Menu –> Run, type msconfig and press Enter key. I hope the solution provided above will help you fix the problem.